To enter the New York Subway system is to leave postcard New York City and experience its bowels, a system of interconnected tunnels that merge and gape and fill with garbage and rats and the ashes of broken dreams. What could be simpler? What could be more difficult? Because you have no idea that there is a vast sea of information about the subway system that you don’t know. In fact, everything you don’t know about getting from point A to point B using the subway would fill entire tomes. Encyclopedias could be written on how to do the very thing you think you’re about to do, and there would still be more to say. Because you think you’re about to go from point A to point B, but really you’re not even at point A. You’re at point 1, and taking the train you think you need to take will get you to point D.3, which would be okay except it’s the weekend and the train isn’t running at all. So you’ll have to get from point D.3 to point 72, and then take a courtesy shuttle to point E (which is the closest you’ve gotten and you just consider walking at this point). But you wait it out at the platform for 20 minutes until you realize that you’re heading in the wrong direction and you need to go Uptown not Downtown and as you run up the stairs and almost slip and fall in a puddle of subway water leaking from some godforsaken place in the ceiling (which is really just the floor of the previous level), you see your Uptown train departing and you sigh in despair. It’s 2:30 a.m. and your feet are screaming and you have no book to read. So you wait it out at point E for the right train and watch the rats and when the right train comes and you go one stop and it’s clear you’re heading in the correct direction you thank God and realize finally that this exercise is not one in knowledge – not at your level. It’s an exercise in faith and patience and belief in a higher power. It’s about the stupid, idiotic, blind hope that if you try at something for long enough, and even if you make gigantic embarrassing errors along the way, you’ll still get to where you need to go, and the trains won’t stop running. 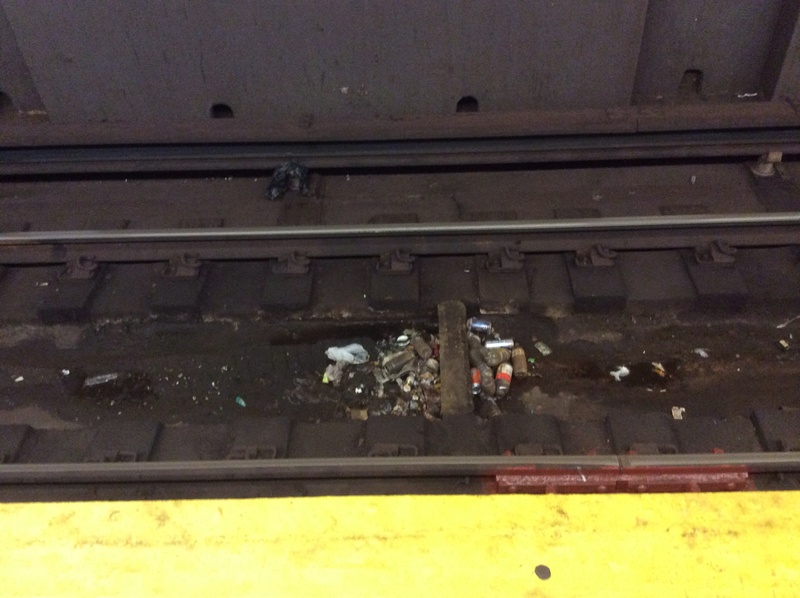 Judging by the size of that track garbage, they must have just cleaned it.